Counter Strike Strategy: No such thing as Spawn Camping on Dust2! 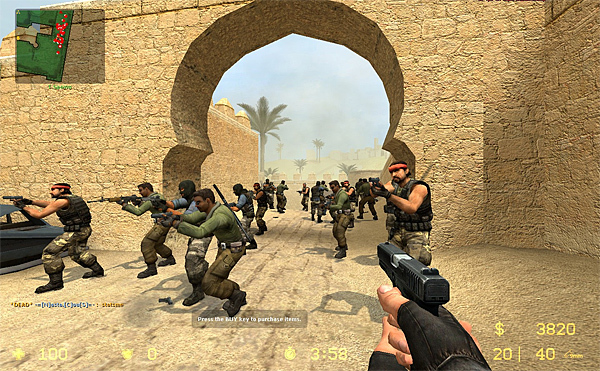 Players love to complain about how hanging out at Terrorist spawn on Dust2 qualifies as traditional “Spawncamping”. Little do these newbies know, that spawncamping really only applies to spawn areas which are not part of the gameplay of any given map (such as both spawns on Piranesi or T Spawn on the regular Dust). The Terrorist Spawn on Dust2 is a crucial part of the map where T’s… wait for it… happen to spawn! It is fully integrated into the flow of the level and was even designed like this by our world renown CS mapper Dave Johnston. Easy access to sniper platform for B tunnels, catching any CT’s trying to make their way across that path. Instant access to Long A double doors, eliminating any CT’s which are pushing their luck by trying to flank. Having one of your most dominant players control that part of the map will severely handicap many opponents (which is also why so many downed enemies insist on crying for the rest of the game). Play at your own speed, it’s not like you need to move at the speed of Quake for such a strategic platform as Counter Strike.